On Hitting Bottom: Reflections on the addiction process and our nation’s future. Three elements of family systems theory come to mind this morning. The first is societal regression. The second is self-differentiated leadership. The third is the systemic view of the addiction process. Dr. Ed Friedman’s view of societal regression pointed to particular symptoms in a society that indicate diminishing maturity. An emotional field is analogous to a magnetic field— emotional forces in an emotional field are analogous to unseen forces of attraction and repulsion in a magnetic field. A highly functioning emotional system will be characterized by clear thinking, transparent communication between all parts of the system, and clarity of mission, purpose, and direction. A low functioning system will be characterized by emotional reactivity, the inability of people to hear each other’s point of view, and a chaotic or vague sense of direction. Whether it is a family, a church or synagogue, a business (for-profit or non-profit) or a nation, the level of functioning in an organization will be evident immediately to someone looking through a family systems theory lens. The deeper the emotional regression, the more chaotic the system. Name-calling, blaming, bullying, scapegoating, highly fused or cut-off relationships, fact-free emotional pronouncements, sabotage, and all-or-nothing thinking indicate a downward spiral in emotional functioning. Clear thinking and planning based on evidence, playfulness among those who disagree with one another, workable compromises, and a clear vision of the future characterize highly functioning organizations. A highly self-differentiated leader in an anxious system can state clearly where he or she stands while remaining in relationship with all parts of the system, even those who disagree with the leader and one another. The mystery of societal regressions and progressions is how they get going and how they can be reversed. While it is clear that a highly self-differentiated leader is a necessary element in the process of turning around a societal regression, self-differentiated leadership is no guarantee. He or she often gets overwhelmed by the forces of reactivity and anxiety. 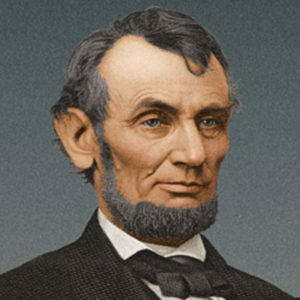 Abraham Lincoln, for example, exercised highly self-differentiated leadership to hold the union together through the civil war, and yet he was assassinated before he could solidify the unity to which he had dedicated his life. And yet, even the most highly self-differentiated leader can be overwhelmed by systemic anxiety—King also was assassinated before his vision could progress beyond its initial steps. 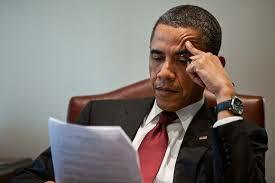 Barack Obama, an extraordinarily calm and self-differentiated leader in the face of reactivity, nevertheless saw his agenda sabotaged by a reactive system that refused to engage in reasonable conversation based on evidence. His attempts to advance a policy agenda were met with fact-free emotional reactivity and name-calling: born in Kenya, Muslim terrorist sympathizer, socialist, the Antichrist, and many more. While it is important to name racism when we hear it, it is also helpful to identify the systemic emotional reactivity that gives rise to intense racism, xenophobia, homophobia, and sexism. When high chronic anxiety rules a system at the emotional level, denial kicks in. People will allow intensely racist remarks and behavior to go unchallenged, they may even participate in it, all the while denying that the racism exists. It is as if anxiety degrades our hearing. To understand our present situation, I turn to the systemic view of addiction. Those processes serve as the fumes to the match—the presence of an addictive substance. In our national emotional system, we have developed an addiction to anxiety. In a highly divisive political and social environment, emotional cut-offs are rampant. Within families, religious organizations, businesses, and non-profits, differences of opinion and viewpoints quickly escalate into personal emotional cut-offs. The extended family of our nation becomes more and more characterized by cut-off as racial and religious groups retreat from one another, separated by neighborhoods, schools, and in the workplace. High chronic anxiety feeds on itself. Whenever disrespect, insult, and general incivility get thrown around, and every action yields an equal or escalated reaction, the anxiety grows. In a society addicted to anxiety, blame and scapegoating develop a deliciousness that can never be satisfied. Each clear and obvious violation of behavior feeds the anxiety, and then requires more intensity the next time. Denial takes the form of accepting lies as truth, for example in the fake news industry, or refusing to acknowledge the experience of anyone other than oneself. It also manifests itself in the refusal to recognize facts that may invalidate one’s own viewpoint. An environment of high anxiety deafens and blinds us and generally desensitizes us to facts. In such an anxious environment, someone willing to step into the role of family savior, “I alone can fix this,” can temporarily satisfy the desire to get a break from the pattern of imbibing anxiety, then needing more the next time. The family savior, by projecting an attitude of authority, releases the rest of us from a sense of responsibility for the family’s or nation’s problems. According to Dr. Friedman’s interpretation of Murray Bowen’s family theory, whenever two people (A and B) find the anxiety rising in their relationship, they will naturally triangle in a third person or substance (C) to calm them down. Parents will focus on a child, or a family savior will focus on the addict’s drinking or drug use. 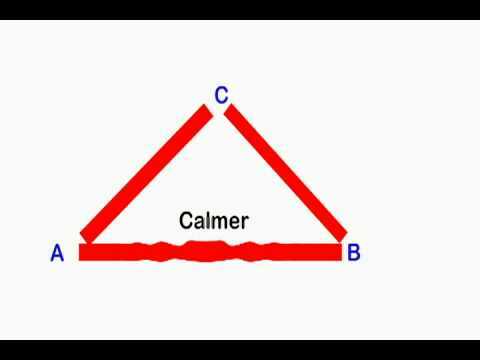 The will conflict of one person in a triangle trying to manage the relationship between two others paradoxically has a stabilizing effect, but not in a good way. The more intense the triangles, the less likely the system will change. What precipitates a significant shift in the system? How does a family or a nation in a spiraling emotional regression finally turn it around? How does it happen that a family savior gives up the role, or an addict gives up the substance, or a nation breaks its addiction to anxiety? When they go as low as they can possibly go, they either die or push off of the bottom and go the other way. So, from a family systems theory perspective, we can take heart. Electing as our leader the least differentiated leader we can imagine in Donald Trump gets us a little closer to hitting the bottom of our anxiety addiction. How low can we go? Who knows? We may yet be a generation or two away from finding where the bottom is. If, however, we can survive the next presidential term without getting exterminated, we may reach the point where enough people get fed up with the anxiety addiction that we hit bottom. We would learn how to take clear stands without necessarily cutting off one another. We would break our addiction to reading the comment sections where trolls hang out because we will grow weary of feeding our own addiction to anger and indignation. We would begin to spend more time reaching across boundaries of race, gender, viewpoints, sexual orientation, economic condition, and nationality—all the other silos of separation that promote projection rather than relationships. In the mean time, with each new horror of this administration, I will do my best not to blame, but to thank our President-elect for bringing us one step closer to hitting bottom. Thank you, Neill. I am comforted. Just found my wordpress app again, and this sweet little read. Thx. Hope you and yours are weathering what life throws your way. In the end we’re just old rugged captains of our own ship. Keep chipper as the wind and rain try to wipe that joyful smile off your face.